Liquid Roof Tape provides a seamless solution for joints, flashings, fasteners, small cracks, vents, drains, seams, uneven surfaces, protrusions, depressions and transitions. 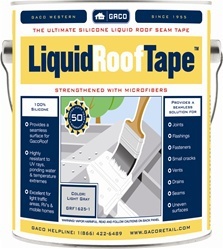 Liquid Roof Tape will exhibit resistance to wear under light foot traffic. 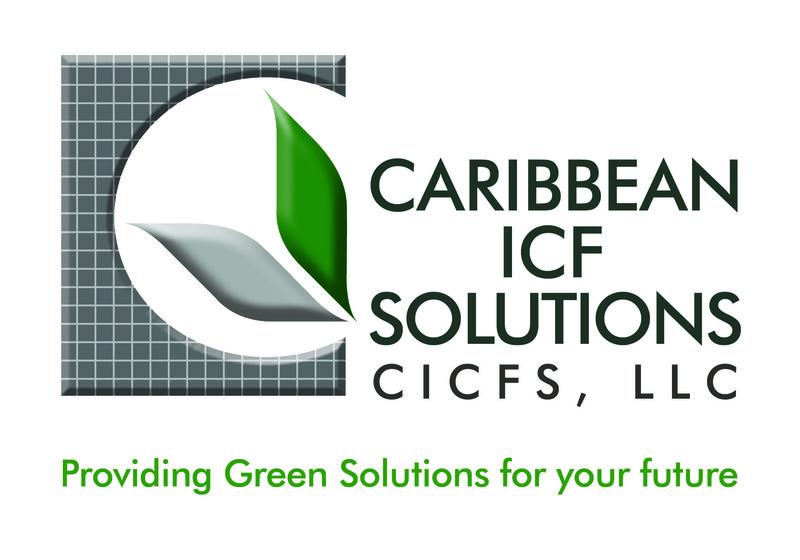 Provides a seamless membrane over small cracks, seams, protrusions, depressions, uneven surfaces, drains, joints, etc. Application: Apply LiquidRoofTape to a clean, dry and sound surface. Apply by brush, roller, trowel or putty knife as received. Force the product down into all penetrations and over all protrusions. For cold weather application, keep material stored above 65°F (18°C). 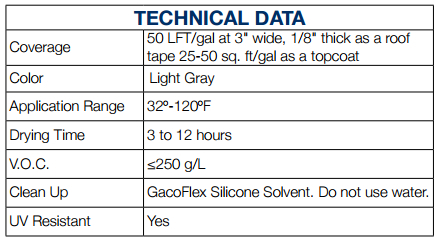 Ensure that previous applications of LiquidRoofTape or GacoRoof are clean, dry and well cured before recoating. Storage Stability: One year from date of manufacture when stored in unopened containers below 75°F (24°C). Mixing: Mix before application to assure uniform color and consistency. Power mixing is recommended for quantities greater than 1 gallon (3.8 L). Do not use a paint shaker to mix.